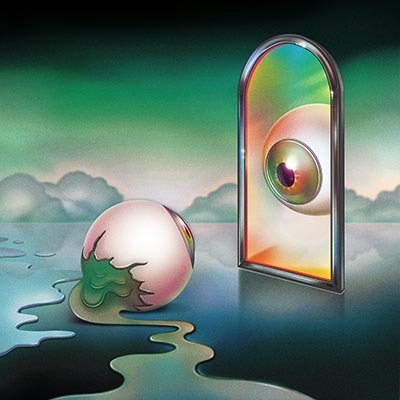 Nick Hakim‘s debut full-length album Green Twins follows his breakthrough Where Will We Go, Pt. I & II EPs that were self-released on his Earseed Records and praised by the New York Times, NPR Music and more. Green Twins is an experimental step forward with emotional heft gleaned from his experiences in the years since. Intimate first single “Bet She Looks Like You,” was recorded mostly in the New York-based singer-songwriter’s home bedroom, and was one of the first songs that saw Hakim embrace his new experimental way of songwriting and recording. Hakim’s debut comes as the culmination of years chiseling his skills as a musician. Hailing from Washington, D.C., he grew up in a musical household—his older brother introduced him to bands like Bad Brains and Nirvana, and his parents exposed him to Nueva canción—while he set out on his own to discover the DC music scene. He didn’t take an interest in learning an instrument until high school, when he taught himself to play the keys. After graduation, he moved to Boston to continue his study of music. In the time since moving to Brooklyn and setting to work for three years on Green Twins, he embraced the live circuit, both as a solo musician and with his band, whom he’s brought together from within his community in Boston and New York. 08/15/2017 Nick Hakim: Pitchfork Live, VEVO mini-doc, and fall tour!